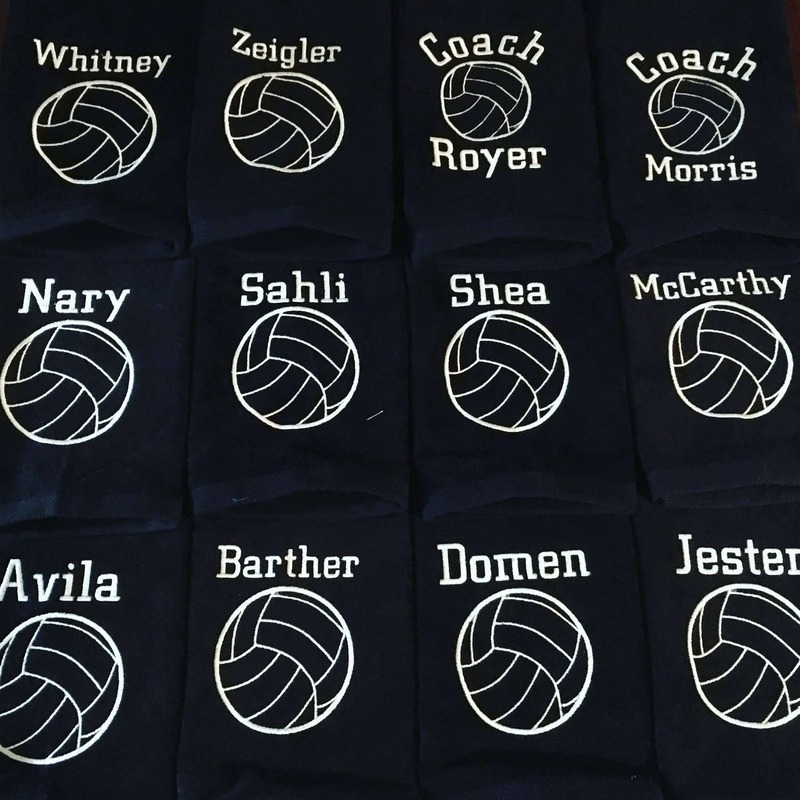 Personalized volleyball towel in terry velour. Fast turn ariund, 3 business days or less. 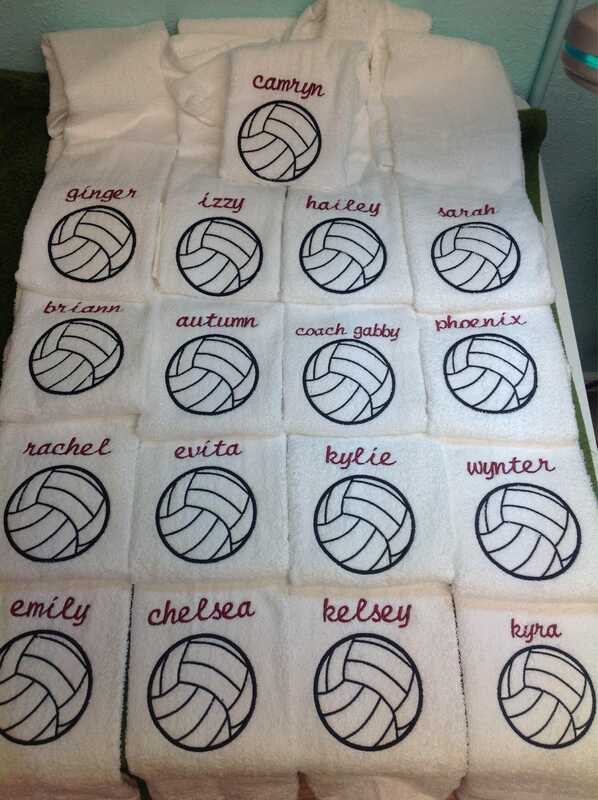 Personalized volleyball towels. Terry velour with fast turn around. 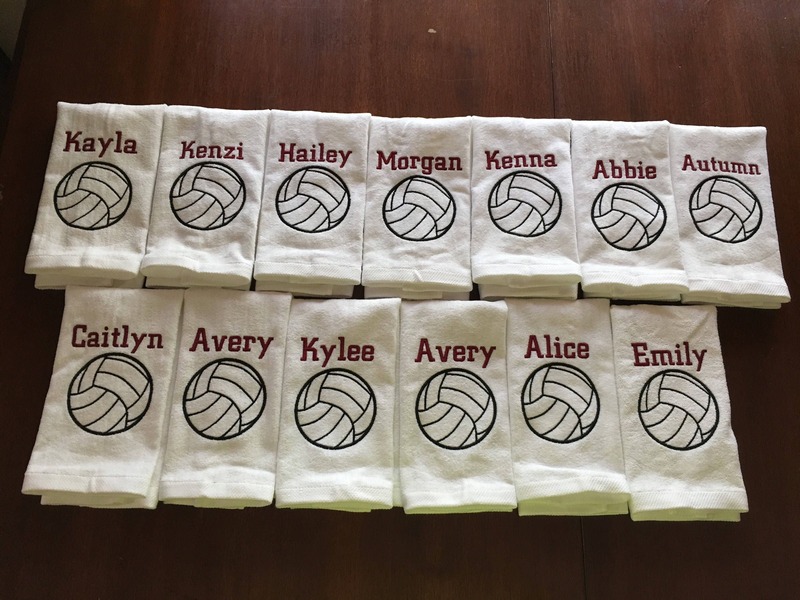 Towels are 16 X 27 or 12 X 17. Choose in drop down. 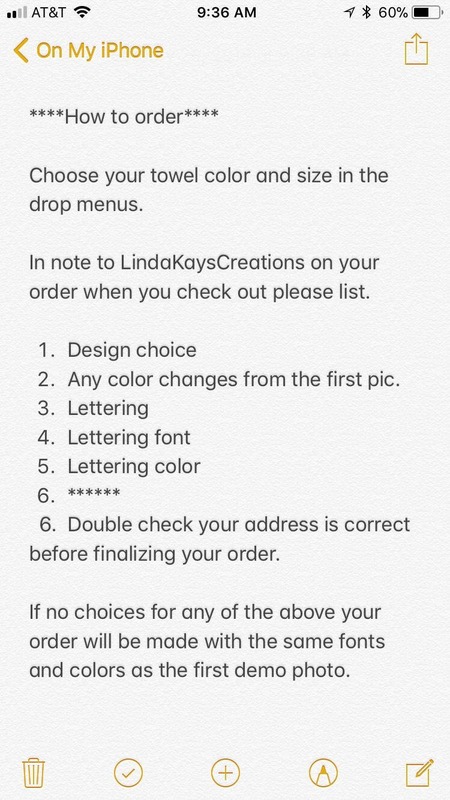 *********Please make sure to list all choices in note to LindaKaysCreations on your order when you check out. 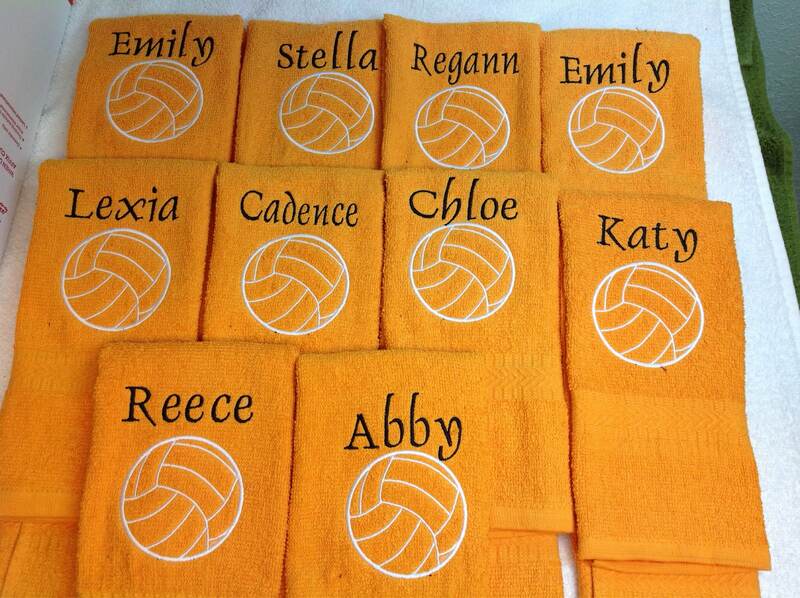 Wonderful quality & great seller! 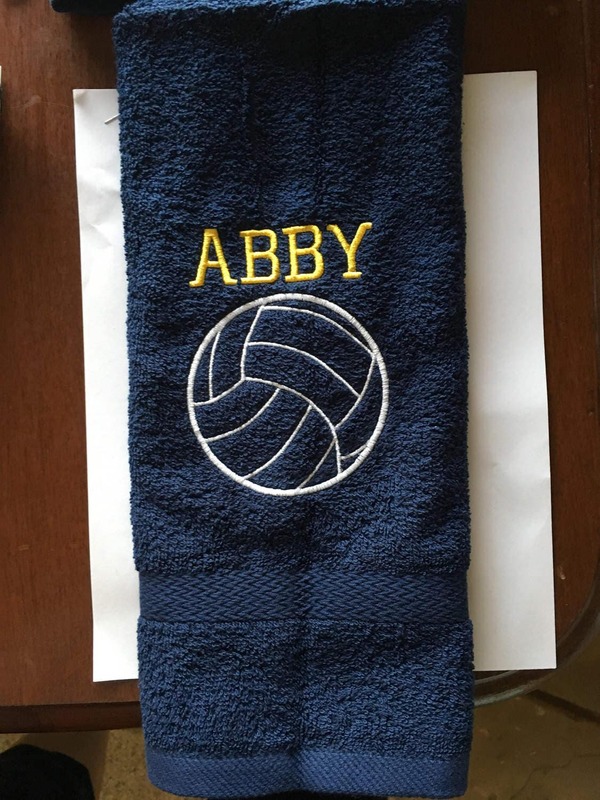 The item is just like the picture, it is well made. 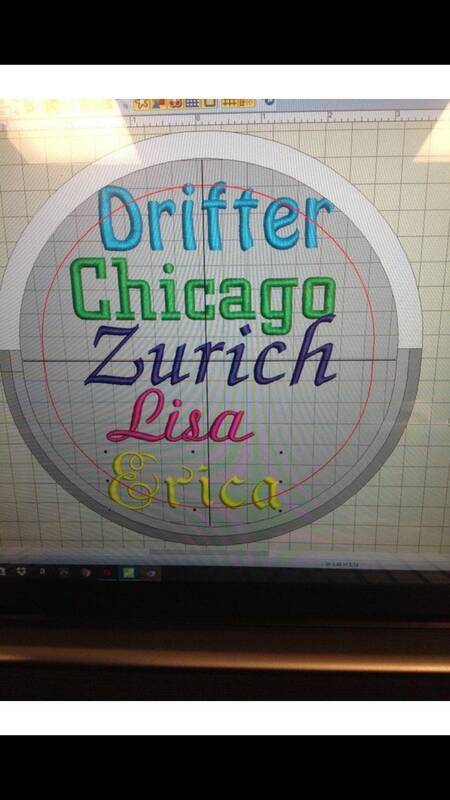 My daughter absolutely LOVED it! 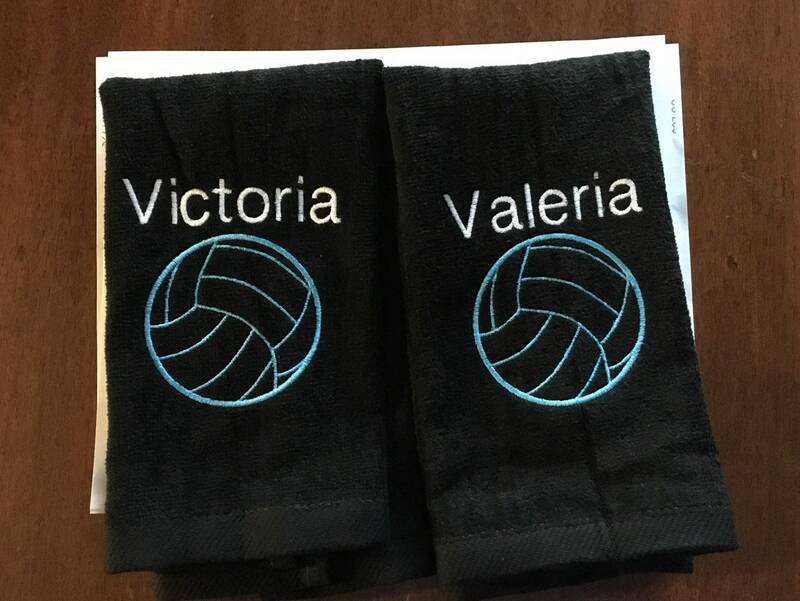 I received my item super fast, it shipped out the same day I ordered it. First I would like to say thanks to Linda who got my order out like sooooo fast..I know I put her under pressure because of how late I waited. 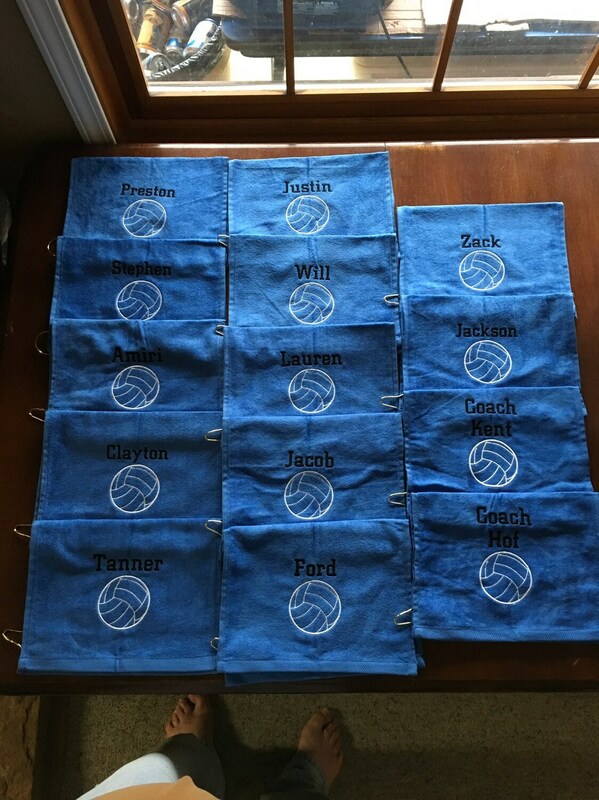 Now, the items were a huge hit for my squad as I'm known for getting great use out of a towel...they love the thought of the towel as they will never forget Coach Johns (but then I don't think that they EVER will😉). 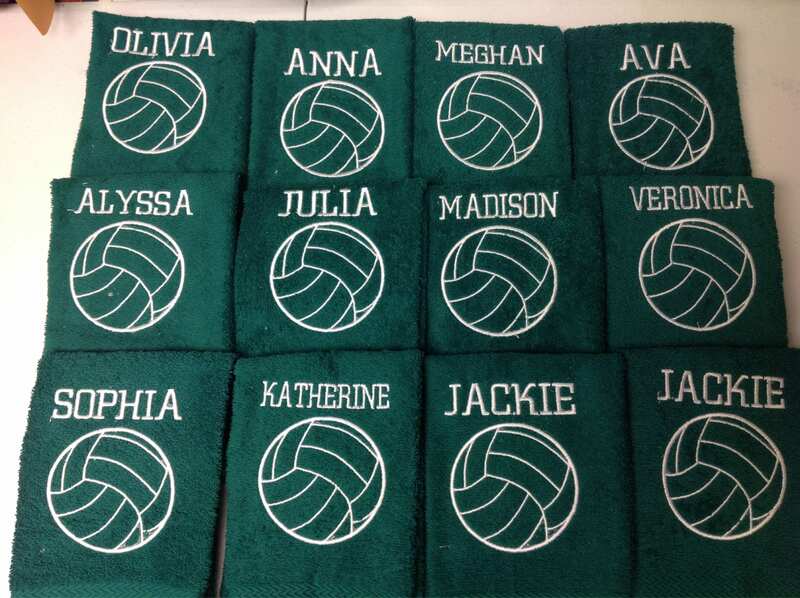 Thanks again and I look forward to doing business with you again.